Learning about how deadbolts actually function helps to give homeowners a greater understanding of the level of security that is now at their disposal. Generally, deadbolts use cylinder locks, a mechanism, which turns an attached latch (cam). Depending on the direction the cam is turned it will either open or close. One direction can release the bolt and a spring puts it into position, locking the door and vice versa. In the absence of a spring mechanism, a deadbolt is used which is considered to be a more secure choice. A professional locksmith technician will also consult with you about how the pins and tumblers of the deadbolt work. There are both tumblers and pins within the cylinder. These pins come paired in various heights. The set of pins are positioned within a tube which goes through the cylinder and encompasses the plug. Springs keep the pins in there position. When you put your key in the lock, it puts the pins at different heights. 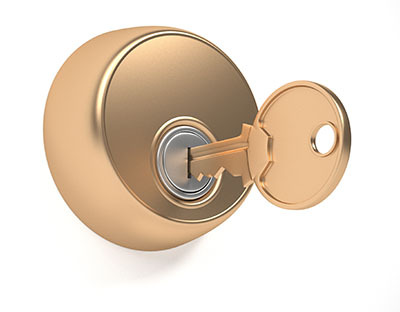 The cylinder will not work if the wrong key is placed in the lock. The key remains inside the lock and will not turn if it is the wrong height. After the correct key is inserted, the pins will go into the proper grooves thus making it operable. 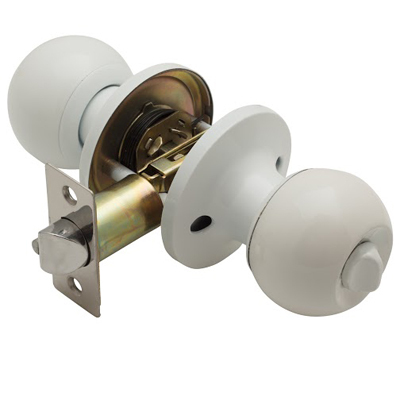 Once the cylinder begins to move you can then move the deadbolt from its frame to open the door. If the lock is going to benefit you, it must be a good quality lock attached to a high quality door. If not, there is very little chance that it will provide you with the level of protection you need. One of the most important features of the deadbolt is its strike plate. This is what reinforces the frame of the door, making it harder to affect it if kicked in. We can assure you that we will use all of the reinforcement provided to secure the strike plate attached to your doorframe.